Gratitude Wednesday Part 3: How Can Gratitude Help You? For the last few weeks, I’ve been discussing gratitude and it’s importance in my life. This week I’m going to talk about the health benefits that come from assessing the things for which you are thankful. Last weeks post looked at the definition of gratitude and what it means to you. So many people got involved with exploring what the term meant to them. With others questioning where research was lacking. It was fascinating and I was deeply touched that so many people wanted to comment on what gratitude meant. Once you’ve established what gratitude means to you, it’s time to look at what gratitude can do for you. Expressing gratitude has been shown to contribute to improvement in mental and physical health, which is definitely no small feat. This happens in a variety of ways but Amit of Happier Human has developed this brilliant diagram that perfectly sums up what gratitude does for your health. As you can see, gratitude has a direct impact on many areas of our lives, so much so that it is difficult to just remove one from the other and it becomes a bit of a cycle. Amit goes into further detail on his blog post about how and why these things occur. McCullough, Kilpatrick, Emmons and Darson (2001) stated that gratitude lead to a better society because the act alone was expected to lead to other beneficial behaviours. The expectation stemmed from the belief that gratitude was the ultimate expression of kindness and by acting upon those feelings you were being kind to yourself, other individuals and society as a whole. These were the people who believed that gratitude could be defined as a feeling of indebtedness and, as such, they believed that expressing gratitude entered you into a cycle of gratitude demonstrations. Sounds convoluted but it isn’t … stay with me! They went on to say that those who were recipients of sincere expressions of gratitude were more likely to behave prosocially to a third party, thus spreading the kindness among society. Basically, one simple act of gratitude on twitter could lead to an entirely contented social circle. Eamons and McCullough (2003) elaborated on this, stating that daily demonstrations of gratitude were positively correlated with improved relationships, both platonic and romantic. Expressing gratitude can only do positive things for your relationship with others. It’s a reasonable expectation that saying thank you in a sincere manner will reinforce friendships, leaving the recipient validated for their efforts and further developing the relationship. Gratitude has all kinds of impact on mood. Emmons and Crumpler (2000, as cited in McCullough et al., 2001) found that a gratitude intervention improved not only short term mood but also physical functioning, which means that the next time you feel a bit down in the dumps or a bit achey, taking the time out to be grateful for something could help you experience your emotions and physical ailments differently. McCullough et al. 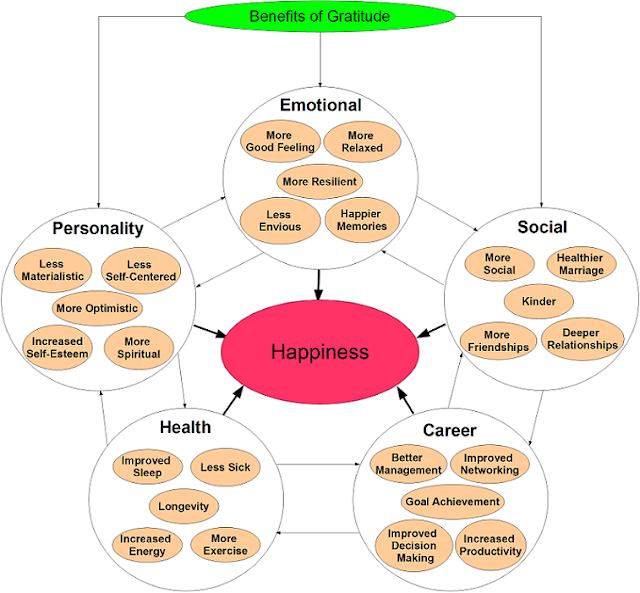 (2001) also found that gratitude was linked to better social circles and a reduction in narcassism. With better social circles comes better mental health, the research connecting social circles with reduced rates of depression is extensive. The expression of gratitude is linked to many other emotions. Research by Eamons &amp; McCullough (2003) found that the emotion was linked to feelings of happiness, pride, contentment and hope, and when further defined by participants it was clustered with feelings of admiration, respect, trust and regard. This leans back into definition territory, I know, but it also means that gratitude as a feeling is also linked closely to other positive feelings. I’m hopeful that in time research will show that gratitude will trigger those other emotions into being. Fake it till you make it, right? The expression of gratitude is the only emotion correlated positively with life satisfaction. This is no small feat because other emotions and factors such as intelligence, forgiveness, and humour have failed to predict how satisfied we are with our lives! (Wood, Joseph and Linley). Wood et al. went on to say that people who express more gratitude are more likely to have lower levels of stress and depression and more likely to see the world as a pleasant place, leading to a larger willingness to help. Good news all around! Eamons and McCullough (2003) discovered that gratitude expressed once a week was shown to correlate with increased exercise, more positivity and less physical complaints. When students were required to write in their journals daily they found that their emotional states and sleep quality improved as well. Brilliant, right?! Wood et al. also discovered that expressions of gratitude could reduce systolic blood pressure in people suffering from hypertension. This is linked greatly to next month’s post, where we’ll discuss how to express gratitude in a manner that works for you, a key component involves making connections between the mind and the body. I’m going to start looking into the benefits that showing and expressing gratitude can have on your health and general well being. What do you think? Does this sum up gratitude to you? Are there any other health benefits that you gain from expressing your gratefulness? It’s difficult to talk about this subject without seeming religious, as I am not religious this image is something I avoid. Gratitude seems to have been labelled as something only for those who are religious but this couldn’t be further away from the truth. The act of gratitude has benefits for anyone and, if you are someone who believes in a higher power, it may mean that you are familiar with ways of expressing it that work for you. 3. Link back to this project in your post. Feel free to use the little button above or upload one of your own! Emmons, R. A., &amp; McCullough, M. E., (2003), An Experimental Investigation of Gratitude and Subjective Well-Being in Daily Life. Journal of Personality and Social Psychology, 84, 372-389. McCullough, M.E., Kilpatrick, S.D., and Emmons, R.A., Darson, D.B., (2001), Is gratitude a moral affect? Psychological Bulletin, 127, 2, 249-266.